Oxford English For Travel You plan to travel to a country where English is the official language? You want to apply for tourism jobs? You want to communicate with English people? 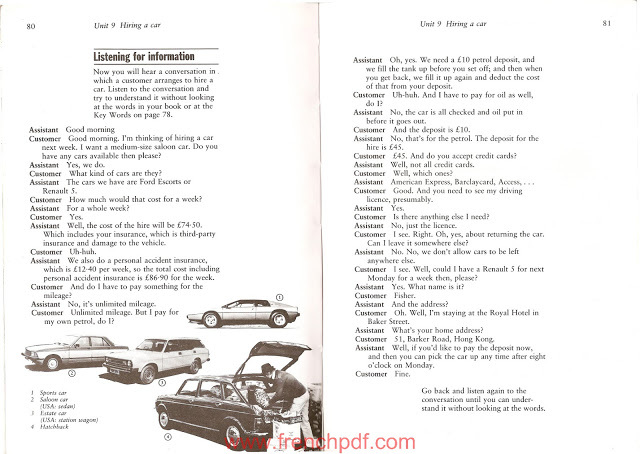 Frenchpdf recommends you Oxford English for Travel pdf. English for Travel is a course for business people and tourists. It is for people who travel to English-speaking countries or to countries where English is often used at airports, in restaurants, in shops and so on. It is a practical course which teaches you how to use English when buying a ticket, ordering a meal hiring a car etc. 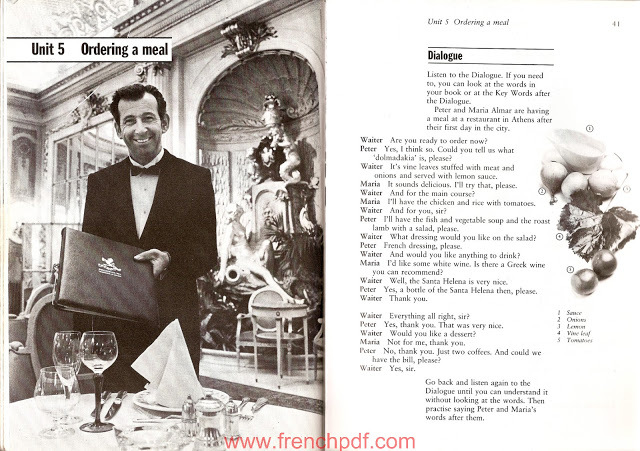 Frenchpdf offers you in parallel an audio CD of the book. English for Travel is a course for business people and tourists. It is for people who travel to English-speaking countries or to countries where English is often used at airports, in restaurants, in shops and so on. It is a practical course which teaches you how to use English when buying a ticket, ordering a meal, hiring a car etc. Oxford English For Travel : The course tells the story of a business trip to Athens, Peter and Maria Almar have a shop in Zurich, They visit Istanbul and Athens to buy things for their shop, and they also have a few days’ holiday in Greece, English for Travel can be used as a self- study course — you can use it at home without a teacher, (It can also be used with a teacher, and there is a Teacher’s Guide to help teachers use the course in the classroom,) You must know a little English before you start the course, (You may have learnt some at school or have spent one or two years learning English at evening classes,} There are explanations of the more difficult or important words in each unit (Key Words) and an alphabetical Word list at the back of this book (pages 107—1 13), This will help you to find an explanation quickly if you do not know’ the meaning of a word. 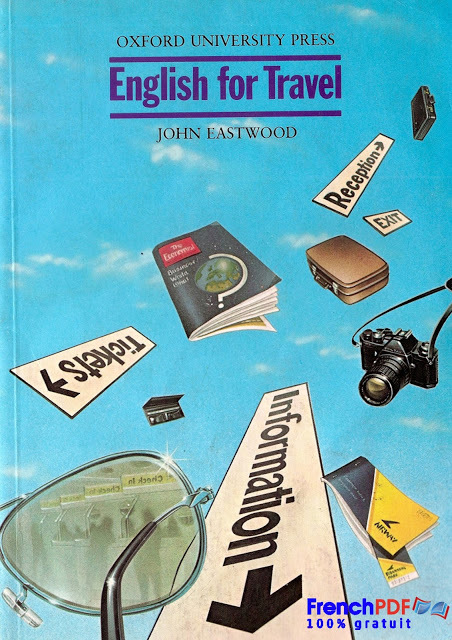 Many words that the traveller needs are different in British English and ,American English, Both British and American English words are given in the Key Words and Wordlist, The parts of the course are this book (the Coursebook) and two cassettes, so you will need a cassette player. The cassettes are a very important part of the course because the traveller has to do a lor of listening and speaking. 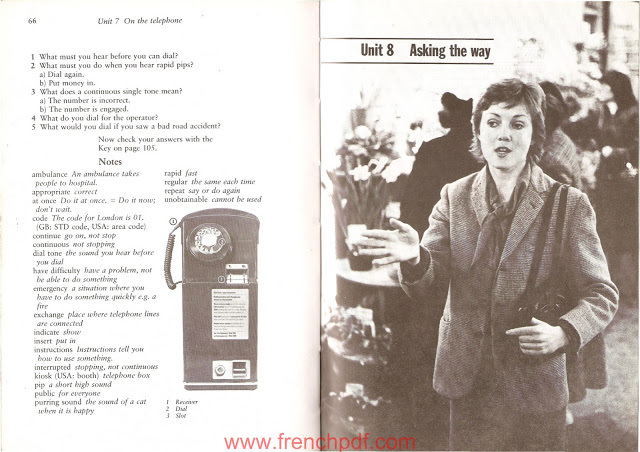 The cassettes help you to listen to and understand English as it is used by travel agents, shop assistants etc. They also give you the chance to practise the kind of sentences you need to say when you have to ask for information, buy things etc, English for Travel teaches useful English; it teaches realistic English; and it gives active practice in the English needed for travel, To find out what English the traveller needs to understand and to use, we took recordings of travel agents, shop assistants etc. The English in the Listening for Information is taken from these recordings. The course is in 11 units, each about a different aspect of travel — ‘Asking about travel 3 , ‘At a hotel 3 etc. It is best if you work through the units from 1 to 1 1. If you already know a lot of English, you can leave out some units and do only those that you are most interested in or that are most useful to you. However, a lot of things in the course (e.g. how to ask questions) can be used in different situations, and so it will normally be best for you to work through the whole course. 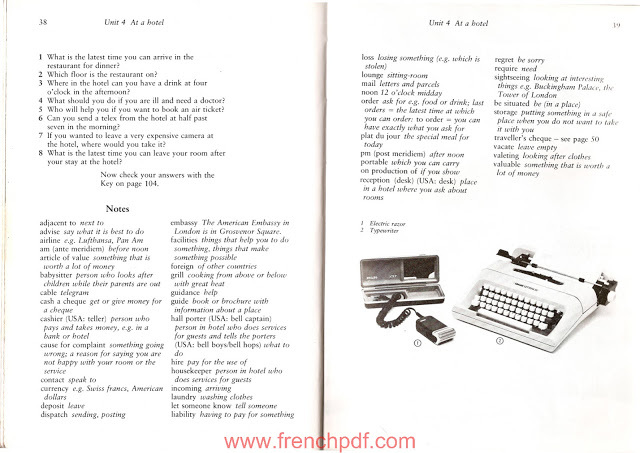 Instructions for using the material are given in each unit of this book and on the cassettes. But here is a list of the parts of each unit with suggestions as to how they should be used. Customers who download Oxford English For Travel also download : Oxford guide to English grammar. Download Oxford English For Travel PDF By John Eastwood.